As a family owned and operated business, we truly understand the impact that a friendly professional pest exterminator can make. We make it our business to serve your family, and your home, the way we'd treat our own. When you have a pest problem, you want to know that you are going to get the professional service that you deserve. You expect the best, and you need your pest problem taken care of quickly and efficiently. We are very proud to have been serving your area for years. With all of that experience, it is no wonder that we are #1 in customer satisfaction. Fast,friendly service, on time, and as promised. Company was excellent to do business with. Prompt service and very knowledgeable. Technician was thorough and explained all about service. Will recommend to family and friends. 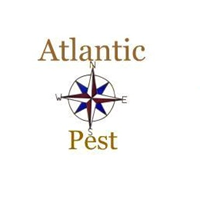 Atlantic Pest Control company provides excellent service, in a timely manner, and is affordable. The staff members are incredible and are always prepared to help. Everyone I worked with were great. Excellent service, through explanation of the process and timely installation. I would definitely recommend this team. They were great, came out right away and took care of our problem. On time excellent job without a question the best in the pest control. I was very happy with the original consultation and then with the installation of our termite control system. Peter will be new owner July 21. I am the seller everything ok.
Fast and easy to deal with. Thank u guys. Both men who came here were polite and seemed to do a fine job. I think I already filled out a positive report. Janet Dunn. Very happy, no little furry friends so far. So far so good. thx. Very responsive & great customer service. Treatment accomplished in timely fashion. Telephone to APC handled well. Hi Charles, I remember you coming to my house personally, years ago, in Bolton Hill. I am glad to use your service again. I don't remember the gentleman's name from first visit, but he has excellent customer service. Today, Jason came for follow-up service, he also had great customer service. They both explained things to me to help me stop the problem. They waited because I was a little late. Also, the agents who answer the phones have been very helpful with scheduling. You have such a great team! Congratulations on your success and bonuses for everyone!! Very pleased with our pest control service from Atlantic. Good at explaining all options. Came on time. Were very tidy with equipment which had to run through the house. Jason was very pleasant. Technician very helpful, professional, and friendly. Conducted inside inspection for pests without a prior request. Very happy with Atlantic Pest Controls courteous and effective service. Employees are always friendly & helpful. Knowledgeable and understanding of my concerns! Great customer service and affordable prices! You guys are the best! You work with me to ensure convenient appointment times, which is not always easy since the row house is a rental and I'm not usually on site. Jason is wonderful- he calls me when he's on his way, he's professional and courteous, very responsive to my concerns. He gets the job done and makes excellent suggestions and recommendations as to what the tenants can do to help eliminate and prevent pests. APC rocks! Great job and very helpful service. Timely communication. Michael was extremely knowledgable and helpful. He explained everything to me and also showed me exactly what he was doing/looking for. Disappointed we didn't receive a more detailed report other than that devices were refilled. Would like to know how much pest activity occurred since last visit, etc. Overall we like your program and technician but we need to have a clearer picture of where things stand after each of the service visits. Thanks. Joe is a great guy and is very polite and considerate of his surroundings! The liquid spilled out on my hard wood floor - the gentleman was very polite but I was unhappy that chemical was all over the floor. Jason did a thorough inspection and rebaited the rat traps. Answered a number of questions. Good customer service. You have been great to work with. Techs have always been on time, professional, and efficient. The office staff is always friendly and helpful especially when we have needed to reschedule. Our pest issues have been addressed. All around great experiene. Phil and Jason were terrific. They were both courteous, and professional, I will certainly use APC again. Flexible, easy scheduling and prompt service. Techs are always friendly and I've noticed a significant decrease in pests. Very professional service. And knowledgeable technicians. Joe was a pleasure to meet. He was very informative. He also seemed very efficient with the treatment of the property. Always a very pleasant experience. Technician very knowledgeable. Always thorough, professional and pleasant. Easy to work with the whole way through the process.